Being able to count on your financial support every year helps the department sustain its commitment to excellence and plan for enhancements to our programs and services for students. We are deeply grateful to the alumni and friends who include us in their philanthropic priorities each year. Gifts of any amount are sincerely appreciated, have a tremendous impact, and are easy to make. You can use our online giving form to make a one-time or recurring gift using your credit card. Options for giving through EFT or appreciated securities (stocks, bonds or mutual funds) are also available. Checks are received by the University of Illinois Foundation at 1305 West Greet Street, MC-386, Urbana, IL 61801. Simply include your designation to CS @ ILLINOIS on the memo line and in your correspondence with the check. An endowment is an investment fund that offers you a naming opportunity and the satisfaction that your gift will continue to give in perpetuity. When an endowment fund is established, the principal of the fund is never used; the endowment provides a steady source of funds, based on the interest income it generates. 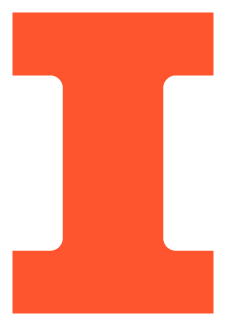 This creates a meaningful and lasting legacy for donors in partnership with CS @ ILLINOIS. The most popular endowment fund opportunities include: faculty chair, professorship, or fellow; research fund; graduate fellowship/assistantship; lecture series; and undergraduate scholarship. Deferred gifts are the result of careful planning that integrates your charitable gift into your overall financial, tax, and estate-planning objectives to maximize the benefits for you and the college. These may take the form of bequests, charitable trusts and annuities, pooled income funds, retained life estates, retirement accounts or life insurance policies. We encourage our alumni and friends to also connect their companies to CS @ ILLINOIS to establish recruiting relationships and to explore sponsored research opportunities. Learn more about becoming a Corporate Partner.